Today is an inspiration day. 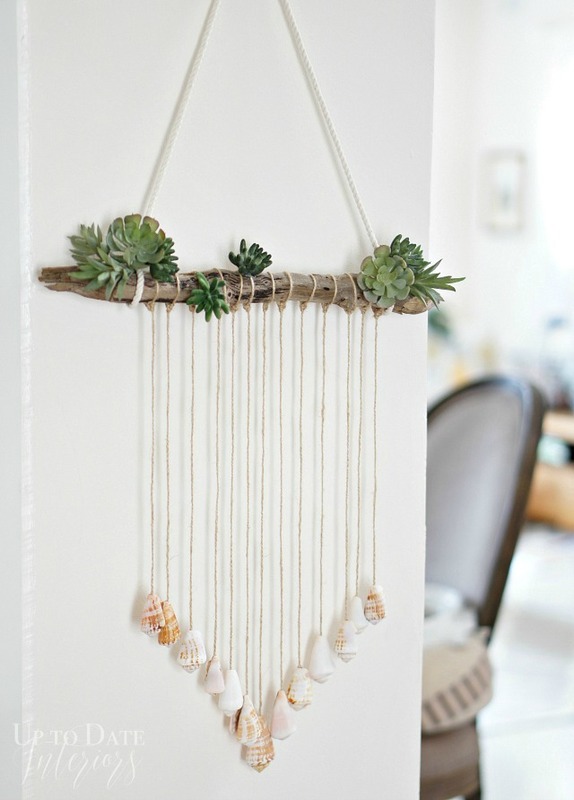 I have fresh and trendy beach house decor ideas to share with you guys. 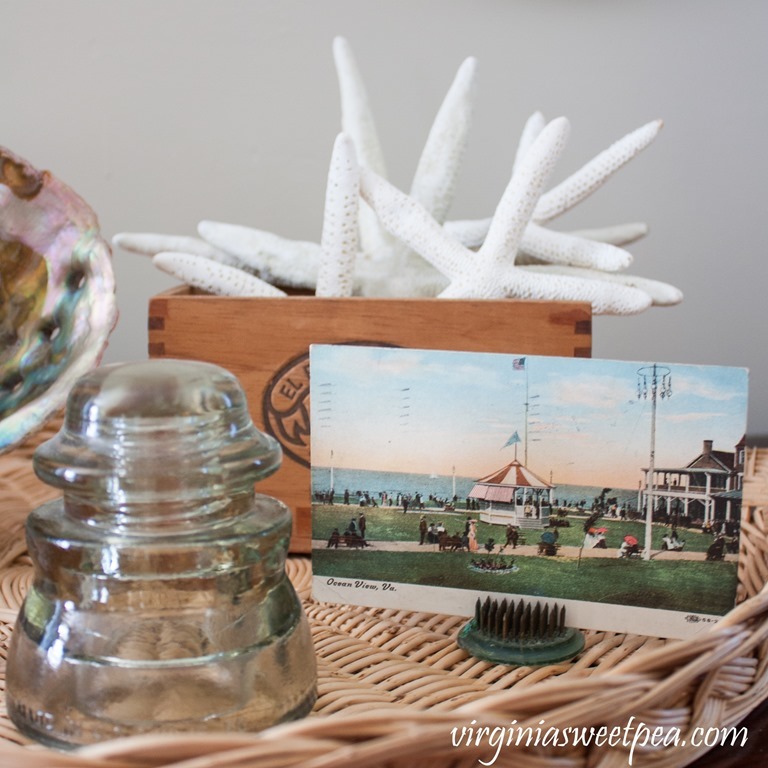 A small group of bloggers and I decided to share some of our own beach house decor ideas from our own DIY projects and posts. 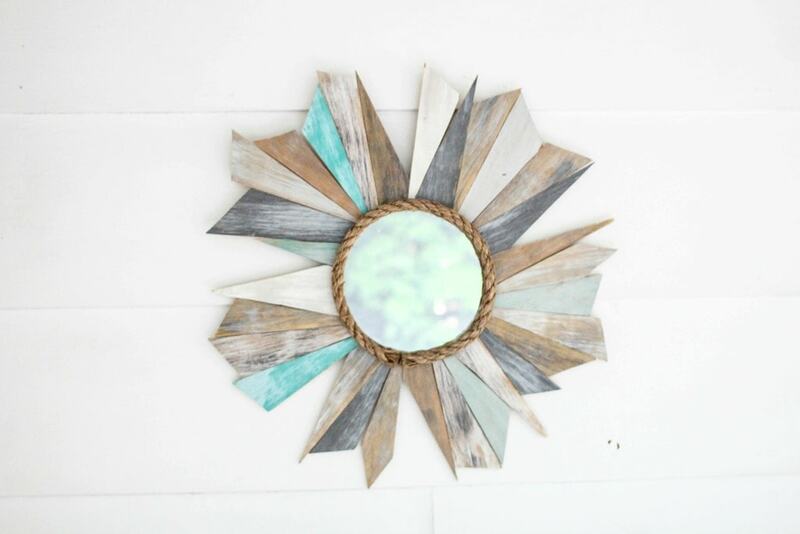 What I love about this collection of coastal home decor is that they are from all over and share different styles. 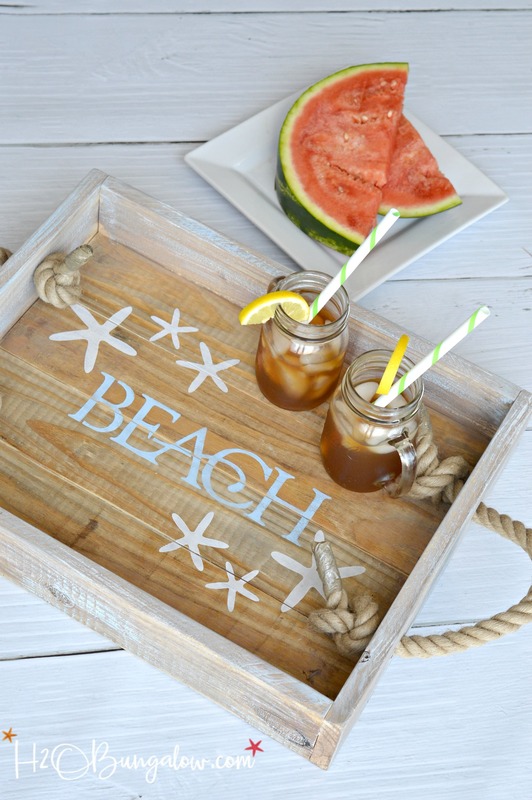 You ‘ll find beach theme decor ideas that range from farmhouse coastal to modern coastal and even some beach cottage decor ideas that you can adapt and use in your own home. 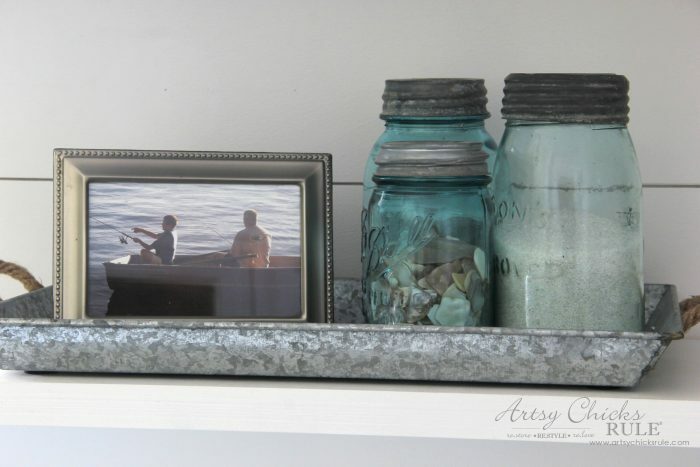 I never get tired of looking at photos of coastal decor on the internet, in magazines or even browsing beach themed home decor stores for fresh decorating inspiration. This is how I find my inspiration. 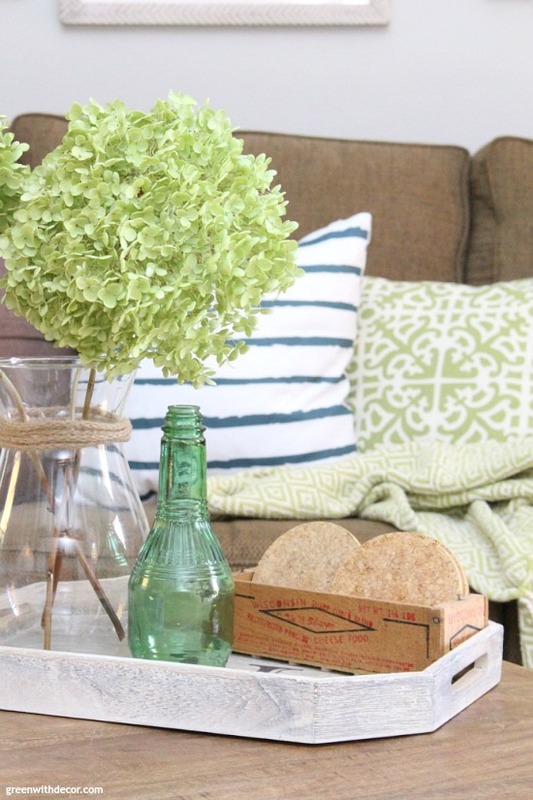 I believe that almost any decor items can be adapted to fit my taste or decor style. 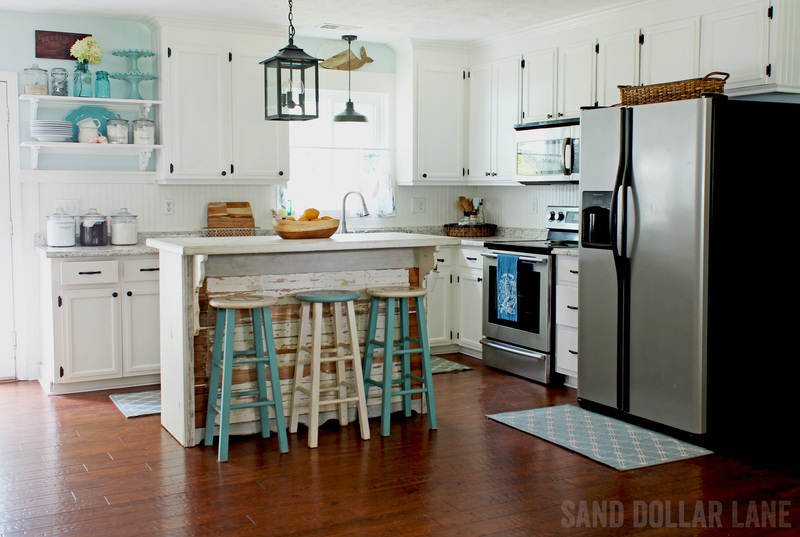 Pin these Beach House Decor Ideas for later and share on Facebook! So? 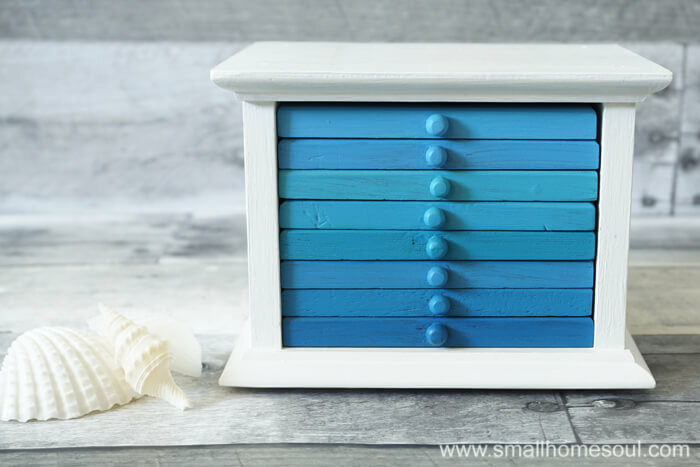 Which one of the beach house decor ideas has you wanting to go pull out your extra seashells or coastal home decor stash and get busy? Me? That’s a hard one! I can share that I’m having a hard time nt pulling out my own stash of shells and paint supplies! 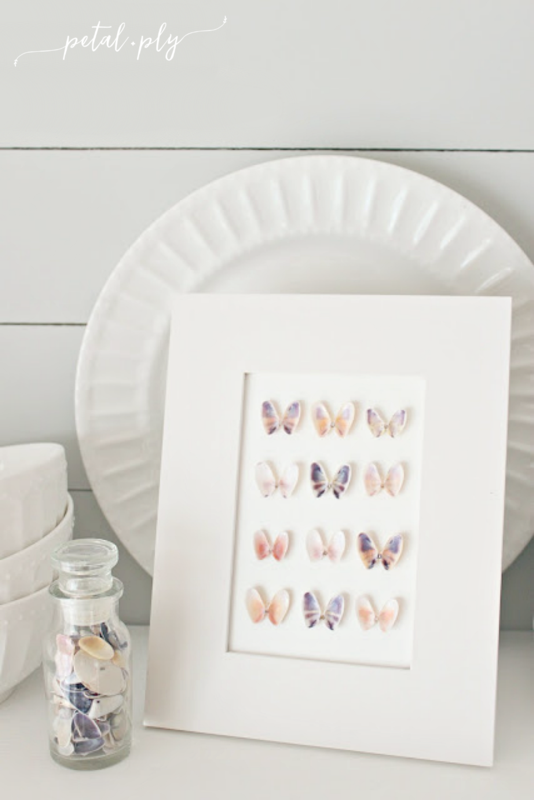 If you need more inspiration check out these 18 Creative Seashell Craft ideas. Hi Michelle and thank you! Isn’t it a super round-up? Everyone had such fabulous ideas to share. There’s several on my want to do list too! Thanks so much for hosting and thank you so much for featuring my post! 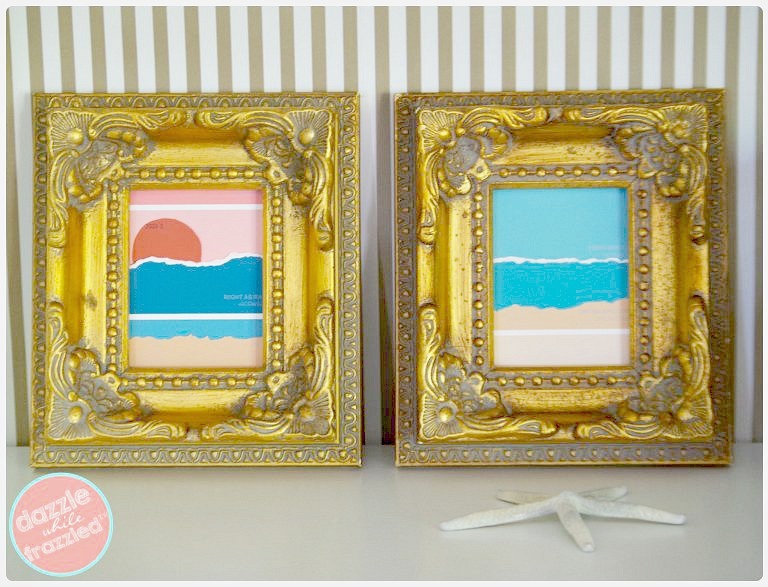 So many great ideas for the beachy look Wendi. And all that blue really makes me a happy gal! 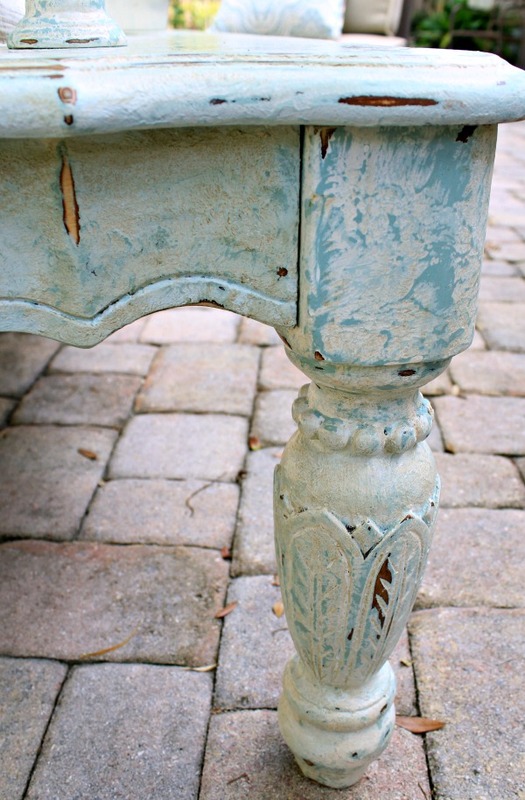 Your post is my feature this week over at Sweet Inspiration. Hi Mary and thank you so much for featuring my post! 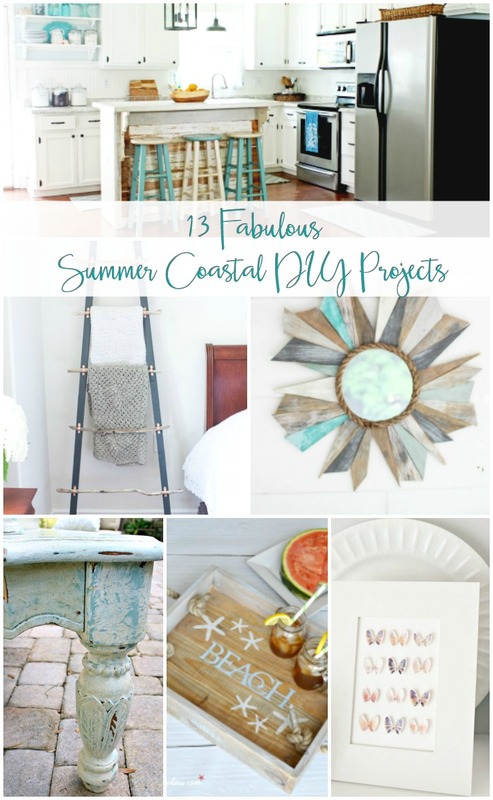 There are so many good coastal projects here I’d love to try. I’m glad you liked it too! Hi Kathy and thank you so much! 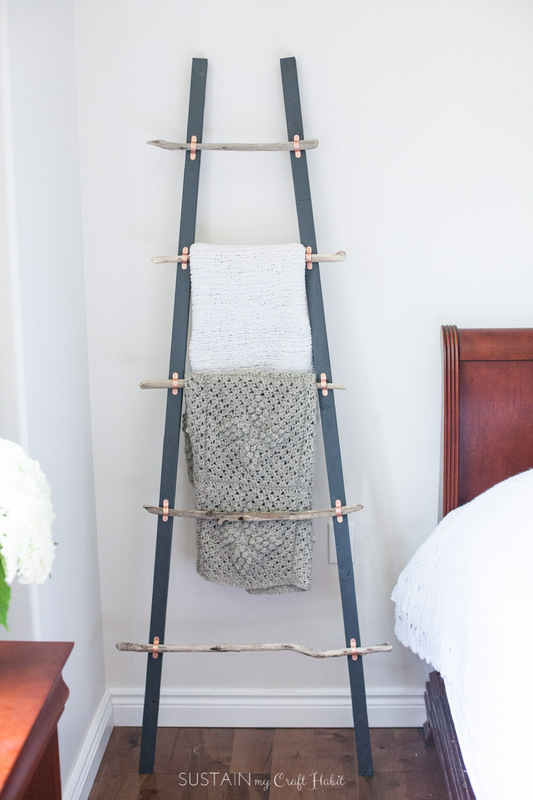 It’s such an easy project to make. We use it all the time, so glad you like it too! Thanks so much for your visit! Hi Nancy, and thank you so much! I loved this tray when I made it and we use it a lot. I’m so glad you joined in with your beautiful bathroom remodel. It’s inspiring for those of us with dated houses that are in the never-ending updating phase! So many ideas all in one spot. I’ll have to admit that the first one that I’d like to try is your tray. 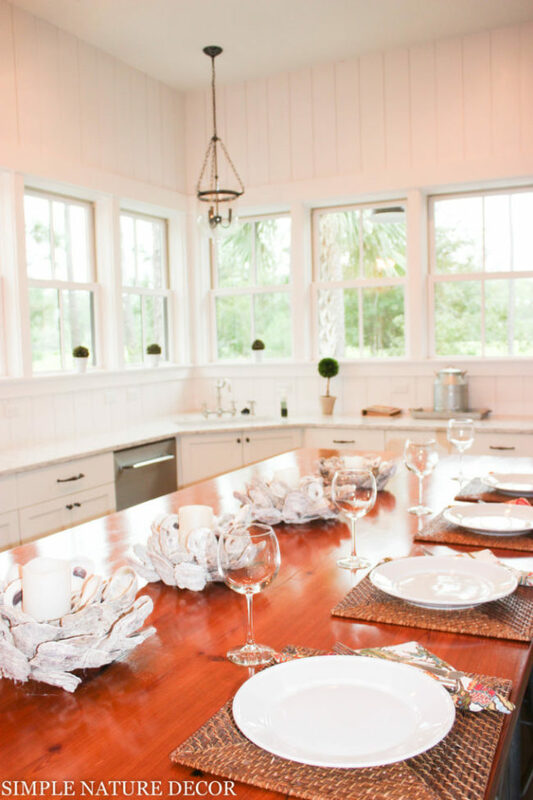 It would be perfect to use for summer entertaining. This is so much fun. I love seeing all of the variations of the coastal look. Hi Dedra and thank you so much for joining in! Yes, it’s been fun and I’ve loved all of the projects!